The time for the diplomacy of truth came into play when the Pontifical Council for Interreligious Dialogue released a strongly worded statement last Aug. 12. For the first time, a Vatican dicastery listed all the horrible acts of the Caliphate, subtly reminding the secular world that it was the secularist Kemal Ataturk in Turkey who had put an end to the experience of the caliphate in 1929, and also admonishing religious leaders: what is our credibility, if we do not denounce what it is going on, that is offending God and humanity? Only a strong commitment by the international community could provide these resources and supplies. But only on August 14 did the United Nations elevated to its highest the emergency level for Iraq, in order to facilitate the mobilization of assistance. In the meantime, displaced persons are without shelter, the Yazidis are at risk of being massacred, and the Peshmergas (the Kurdish militias) are trying to understand how is it possible that the army of the Islamic State suddenly turned north, with a military rigor they had not ever shown in the previous months. Iraq is just one of the areas in the Middle East where a conflict has risen and Christians are suffering. The situation is critical in Gaza, too, where weak truces follow each other and negotiations drag on at a pace that is too slow to achieve a solution. The war in Syria is already forgotten. Lebanon is going through a difficult period. And if we look to Africa, we can see the Caliphate establishing itself in Libya, setting its sights on a divided Yemen, and looking at the largely forgotten Sudan –which had returned to the spotlight only because of the case of Meriem, the Christian pregnant woman sentenced to death for apostasy and then released thanks to the intercession of the international community. We can also look to Asia, at Pakistan, where the blasphemy law is still well established. All of this while the Ukrainian conflict carries on, even if no longer under the media spotlight. Drawn over a world map, there is a crescent moon of conflicts which starts at the heart of Europe, in the Ukraine, and reaches Africa. This is the result of a not too hidden war. The jihadist militants are aiming at re-establishing one of the great caliphates of the Middle Ages, even eventually taking back Spain,over which Muslim rule ended in 1492. Looking at them from this perspective, the 11 March 2004 bombings at the Atocha Train Station in Madrid fit this ambition. The long advance of militant Islam certainly begun before September 11. 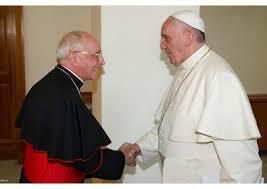 This advance had been stemmed by the diplomacy of truth, which Benedict XVI had promoted and carried forward. His efforts were not free from controversy. In 2006 in Regensburg, Benedict XVI delivered the most criticized lecture of his professional experience as a professor. In the lecture, he explained that radical violence linked to faith is nothing more than the result of a frail link between faith and reason. This thesis arouse violent protests in Muslim-majority countries, but on the other hand permitted the flourishing of a new dialogue with the Muslim world. The Regensburg lecture encouraged the exponents of enlightened Islam, those in dialogue with the world and with other faiths, to begin a new chapter of dialogue. 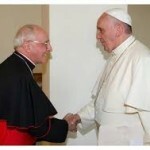 Pope Benedict’s aptitude for speaking words of «love in truth» – Howard said – «enabled him to reaffirm the Church’s on-going commitment,» overcoming «a short but turbulent period in interreligious dialogue when Muslim sensitivities were not fully appreciated.» Miguel Angel Ayuso Guixot, Secretary of the Pontifical Council, listed among the most remarkable results of the dicastery the Catholic-Islamic Forum, established in 2008 as a result of a letter addressed to Pope Benedict XVI by 138 Muslim leaders in 2007. The letter was signed by those religious leaders who had the courage to take a constructive stance in the midst of the controversy over the Regensburg Lecture. The years of the diplomacy of truth also resulted in the Holy See becoming a “founding and observer” state at the King Abdullah bin Abdulaziz International Centre for Interreligious and Intercultural Dialogue (KAICIID), which headquarters are in Vienna (Austria). The center is funded by Saudi Arabia, one of the very few countries in the world which does not have diplomatic ties with the Holy See. Pope Francis inherited this diplomacy of truth, but at the same time he took a different approach, which could be inferred from his choice for Secretary of State. Cardinal Pietro Parolin, who had served for years in the Secretariat of State, hadalways favored a soft line – a classic diplomatic approach, one could say – which prime objective is to avoid conflict. It was Pope Francis’style as well. The Pope has made of prayer his main diplomatic tool. He never lost out of sight of the persecution of Christians in the world, as is clear from his constant appeals at the Angelus and at the general audiences. The Pope himself underscored in an interview that Christians are the most persecuted people in the world. Perhaps, he underestimated the importance of diplomacy. He did so, for instance, in organizing the historical prayer for peace in the Middle East held at the Vatican Gardens in June. It was a historical moment, since no one had ever succeeded in bringing together Israeli and Palestinian leaders in prayer. But it was a diplomatically difficult moment, too, since the prayer was embraced by a president with great moral authority but at the end of his political career (Shimon Peres) and the leader of a Palestinian authority highly criticized because it had concluded a political agreement with Hamas (Abu Mazen). When the conflict broke out in Gaza, the Pope asked for peace and stated that «the meeting was not in vain.» In the meantime, the Iraqi powder keg exploded, opening another scenario where the Holy See, with her moral authority, played a role to help refugees and achieve peace. Iraq was already being monitored because of the advance of ISIS, an Al Qaeda splinter group from Syria, now simply called Islamic State. Followinghis appeals and prayers, Pope Francis realized there was a need for a stronger stance. This is why he dispatched to Iraq Cardinal Filoni, Prefect of the Congregation for the Evangelization of People, as his special envoy. Cardinal Filoni had been nuncio to Iraq during the Second Gulf War, the only diplomat who had remained in Baghdad when targets in the city were being bombed in 2003. He knows the field, and has his contacts. Cardinal Filoni left on August 10, passing through Jordan. When Pope Francis and Filoni met on August 9, Francist asked him with conveying his solidarity, including by delivering a papal personal contribution for those most in need. During the meeting, Cardinal Filoni probably noted the need for a diplomatic umbrella. The umbrella came through a papal letter to Ban Ki Moon, General Secretary of the United Nations. Delivered August 13, but dated August 9, the letter serves to give an internationally recognized character to Cardinal Filoni’s mission. It can also be considered, however,a concrete signal that Pope Francis is changing the paradigm of his diplomacy. The letter makes reference to international law, in particularlyto the Preamble of the United Nations Charter. This particular reference can be found in several texts of the Vatican Secretariat of State in recent years, and relates to the diplomacy of truth that characterized Benedict XVI’s agenda. The preamble of the UN charter is not quoted by chance. In the preamble, the founders of the United Nations reaffirmed «faith in fundamental human rights, in the dignity and worth of the human person, in the equal rights of men and women and of nations large and small.» The choice of the word “faith” is revealing. Faith makes reference to deeply held beliefs. So, the United Nations is based on this faith in man’s rights that all peoples can relate to, no matter what their religious beliefs may be. Faith imbued by reason brings about the realization that human beings must be protected and defended as integral (whole) persons. The defense of the human person is at the heart of human rights. John Paul II clearly laid this out in his 1979 encyclical Redemptor Hominis, where he identified respect for human rights as the main way to ensure peace among peoples. It is only on this strong basis of truth that a real encounter among nations may take place. Truth in international relations requires that States, when in dialogue or even when involved in a dispute, have before them the people they represent and the whole world community, since their moral dignity consists in this. Cardinal Jean-Louis Tauran, President of the Pontifical Council for Interreligious Dialogue, is very well aware of this. A skilled and refined diplomat, the architect of most of the Holy See diplomacy in the past twenty years, Cardinal Tauran realized that he could not remain silent anymore as the plight of Christians was worsening. It is said that he had thought very carefullyabout sending the declaration, because he did not want to overshadow the Holy See official diplomatic activity. Then, he decided the act. The declaration has the merit of calling religious persecution by name, and of making all the religious leaders co-responsible. His actions immediately led some Islamic leaders (as the Egyptian mufti of Cairo Shawqi Allam and the head of the Italian Islamic Religious Community) to take a strong stance in criticizing the Islamic State. These diplomatic interventions underscore the gravity of the plight. Meanwhile Catholic charities are carrying on a huge effort in the conflict areas, helping those most in need, and coordinating the delivery of supplies. The reform of charity carried forward in recent years was needed to give the charities a necessary juridical umbrella to face difficult situations. The difficulties of intervening and of providing help are partly the result of the flawed notion of conceiving international governance as merely a rich network of relations between foreign affairs ministries. The governance of the exploitation of resources and the environment is considered just a matter of international protocols; governance of international trade is considered a mere balancing of duties and prices. But in fact, foreign ministries have failed to prevent war, protocols on the environment are agreed only with great fatigue,and trade agreements often get stuck. In the 2007 World Day of Peace message, Benedict XVI noted that many States do not do all that they can in managing the governance of humanitarian needs. It is a period of weak governance, a result of weak thinking. And the latter leads to the separation of faith and reason that Benedict XVI had denounced. There is a search for soft structures, in order to respect everyone’s differences, and this way fragmentation prevails. This fragmentation sometimes acts as a hurdle for the work of international organizations, which should in fact help the people. There will possibly be an extraordinary session at the Human Rights Council in Geneva about the plight of Christians in Iraq, but not before September. An extraordinary session may be called only if one- third of the 47 members of the Council call for it. There is still not enough support for it, despite the efforts of the Holy See– whose officials are holding many bilateral meetings to raise awareness about the issue. But today, facing the crescent moon of conflicts going from Africa to Europe, Vatican diplomats have understood it is time to undertake again the diplomacy of truth, in addition to the diplomacy of prayer and dialogue. They are referring again to the sources of international law. To protect the human person, and to really achieve that culture of the encounter Pope Francis often speaks of. It is USA bombs that are starting to undo ISIS…not the talk of unarmed academics. ISIS has no air power….she is a creature of the abscence of the USA prescence combined with Maliki shooting Sunni demonstrators in the north, his stopping the salaries of the Sunni “Sons of Iraq”, his firing Sunni commanders and replacing them with influential Shia…and the abscence of law in Syria. And it is the creature of donors whom the UN has finally sanctioned this late in the day. Benedict at Regensburg was trying to rebuke Islam through the words of an ancient commentator whose words he then disavowed later. It got Sr.Leonella killed but it is not halting militant Islam who need death or non income. Syria should have bombed their two year source of income from the stolen oil fields….but two years ago. Syria only this week bombed Raqqa which she should have bombed during the parade of military vehicles. If you were watching the parade, how innocent a civilian were you. How do you think ISIS leaders would publicly and directly answer the question below? I have a different idea I would like each of you who disagree on so much, to look at with a fresh outlook. Let us try to help everyone look closer at God. We all know that when given a choice between a good, better and best coarse of action, we should choose the best, and God must also choose the best, therefore the most peaceful means for reconciling all things (the whole world) to Himself and as the Catholic Church teaches, Jesus Christ is the Prince of Peace and He wills peace for everyone. I have a question for reporters and all peace loving individuals to give to all ISIS members in the hope they will ask their ISIS leaders to answer publicly. Will any leader opposed to ISIS actions publicly ask this question below of ISIS LEADERS? ISIS members believe (or at least claim) that they are doing the “will of Allah” in what they are doing. How can this be really true? I, for one, can imagine a God so infinitely good, merciful, and powerful that He Wills to, and therefore must be, turning the whole world right side up to the one Faith He wants all to have without violating anyone’s free will, through verifiable evidence and His questions that He wants to give His answers to. Are ISIS members and their religious mentors going to publicly say I am wrong and publicly say that God cannot be so infinitely good, merciful, and powerful so as to turn the whole world right side up to the one Faith He wants all to have without violating anyone’s free will, through verifiable evidence and His questions that He wants to give His answers to, OR are they going to admit that God is doing what I say He is doing, turning the whole world right side up by peaceful means to the one Faith He wants all to have without violating anyone’s free will, through verifiable evidence and His questions that He wants to give His answers to, but they still want their followers to resort to violence, hate and murder in the name of “cooperating” with God’s plan of peace? Should all laity expect all ministers of all faiths to find and provide the verifiable evidence and related questions they believe God is using to bring all people to the one Faith God wants all to accept and believe? Should all laity find the best verifiable evidence and related questions they can, post them on electronic media, and carry them on slips of paper in their wallets and purses to be handed to others whom they dialogue with, all in an effort to help people, in the security of their homes and hearts, to seek God’s answer and the one Faith He wants all to have without having to convince the person giving them the slip of paper?